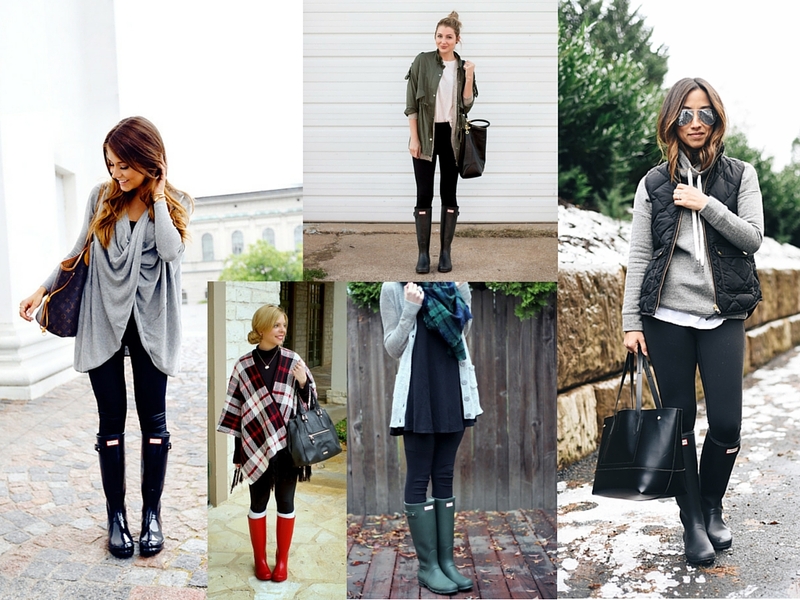 I love my Hunters so much: they're super practical and cute, too! Sometimes, though, I can have a difficult time putting them together with something to make a cohesive outfit. 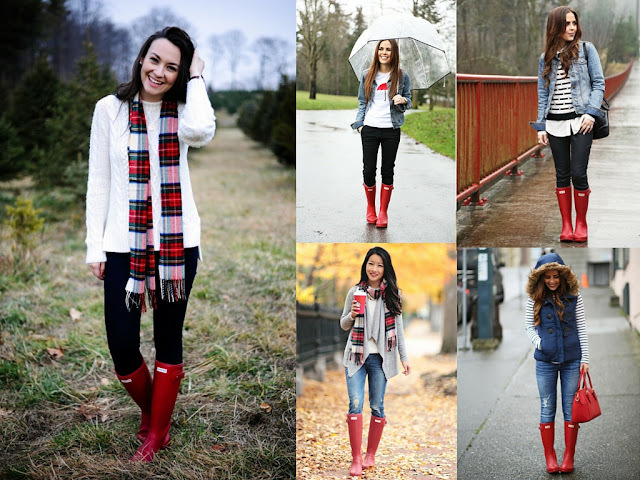 That's why I compiled this post of some of my favorite bloggers wearing rain boots. See some super cute ways to wear rain boots. Photos via: Live Love & Read, Little Blonde Book, Kendi, Southern Curls & Pearls, and Merrick's Art. 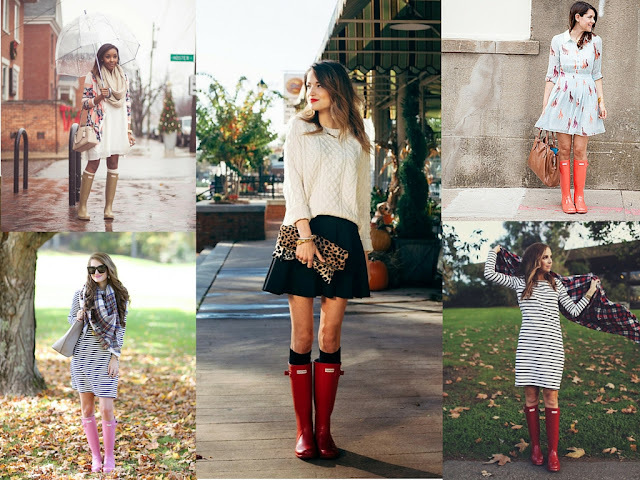 Bare legs: If the weather happens to be warm enough, wear your rain boots with your favorite dress or skirt; and no tights! I love the look of knee-high socks with rain boots: it immediately dresses them up. Photos via: Mariannan, Love, Lenore, Crystalin Marie, Because Shanna Said So, and Katie Did What. Leggings: This is how I wear my rain boots most of the time: with an extra-long sweater and lots of layers. 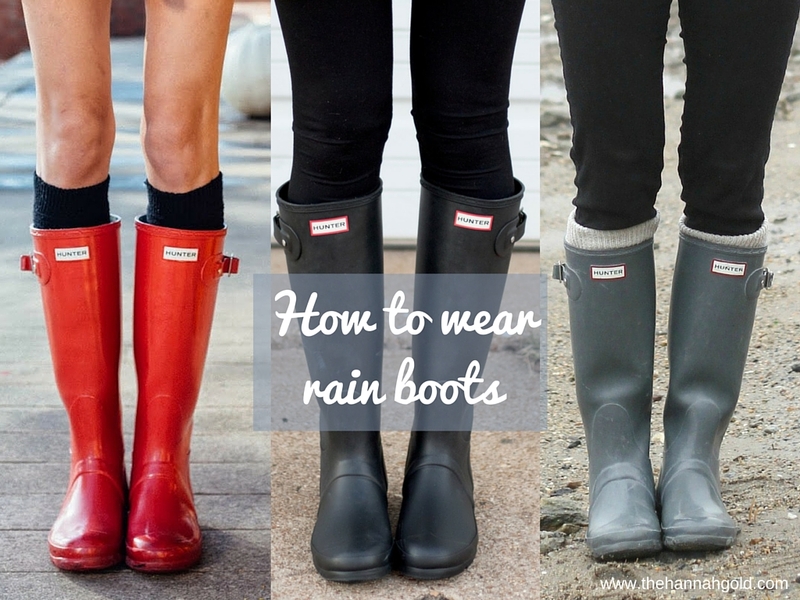 It's a super practical way to wear rain boots, and is super easy to make cute. Photos via: College Prepster, Dress Corilynn (1), Dress Corilynn (2), Extra Petite, and Dress Corilynn (3). Pants: If you're chilly but want to feel like your regular self, pair your rain boots with your favorite pair of pants and your cutest, warmest jacket. Add a scarf and you're set for a day of warmth and compliments.